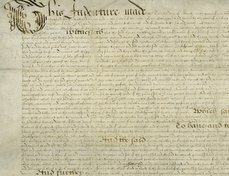 Shakespeare’s poem, now known as “The Phoenix and the Turtle,” was appended to a collection of poetry called Loves Martyr printed in 1601.This volume mostly consists of Robert Chester’s long and obscure narrative poem about the love between the phoenix and a dove (that is, the mythological bird and the turtle-dove). According to the title-page, Chester’s poem is an allegory “shadowing the truth of Loue,” a statement that has inflected the interpretation of Shakespeare’s poem. Loves Martyr was dedicated to Sir John Salusbury, a member of a prominent Welsh family, and may have been intended by Chester as a celebration of his patron’s recent knighthood. It was printed by Richard Field – who had previously printed the early editions of Venus and Adonis and Lucrece. 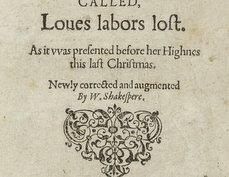 It was published by Edward Blount, who would be a part of the syndicate that produced the First Folio two decades later. The poem has often defied the attempts of critics to interpret it, and because of this it is often overlooked. For instance, scholars are not sure whether or not the birds refer to historical figures from Shakespeare’s time. 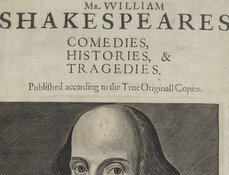 However, Shakespeare’s inclusion as one of the “best and chiefest” of “moderne writers” demonstrates his reputation and renown as a poet among his contemporaries. Burrow, Colin, ed. The Complete Sonnets and Poems. Oxford University Press, 2002. 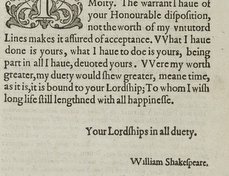 Duncan-Jones, Katherine, and Woudhuysen, H. R. Shakespeare’s Poems. The Arden Shakespeare, 2007.